Research in Motion saw a rare drop in subscriber growth when it reported its fiscal first quarter results, while shipment growth of its popular BlackBerry handsets apparently stalled. The company, from Waterloo, Ontario, said 3.8 million new BlackBerry subscriber accounts were opened in its first quarter, which ended May 30, compared to 3.9 million new accounts in its fourth quarter. The figures mark only the second time the company has reported a drop in quarter-to-quarter new subscriber account growth. The last time RIM’s subscriber growth ebbed was in the fiscal fourth quarter of 2006, which ended March 4 of that year. The company’s subscriber growth fell to 625,000 new accounts in the quarter, down from 645,000 new accounts the previous quarter. 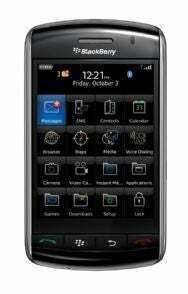 The drop at that time was attributed to patent litigation with NTP, which had stoked fears the BlackBerry system may face a court-ordered shutdown in the U.S. The slump in subscriber growth this time around has caused fears that RIM may be facing increased competition from rival devices such as Apple’s iPhone and new smartphones armed with Google’s Android software. Analysts had forecast stronger subscriber growth. RIM also saw its shipment growth flatten at 7.8 million devices in the first quarter, the same as its previous quarter. The last time it failed to increase shipments of its popular handsets was also in the fourth quarter of 2006, when its shipments hit 1.1 million, the same as the previous quarter. The difference in the figure for new subscribers and for device shipments is due to replacement handsets. The BlackBerry maker reported revenue of US$3.42 billion for the first quarter, up 53 percent from $2.24 billion during the same quarter a year ago. Net profit rose to $643.0 million from $482.5 million last year. The company said its subscriber base now totals approximately 28.5 million. RIM forecast its subscriber growth could rebound in its fiscal second quarter, which ends Aug. 29. The company expects to add between 3.8 million and 4.1 million new subscribers over the quarter. The popular smartphone maker also said its revenue will likely be $3.45 billion to $3.70 billion during the quarter.